Radiation Shields protect sensors from the effects of sunlight and rain to ensure high accuracy air temperature measurements. The RS1 Solar Radiation Shield is suited for all Onset's outdoor temperature dataloggers, with a larger capacity. 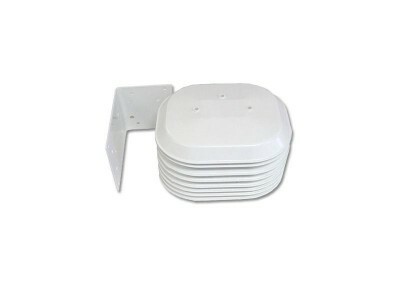 It is suitable for the U23 and MX2300 dataloggers when used with the appropriate bracket. The M-RSA Solar Radiation Shield is the same as the RS1 but comes pre-assembled.